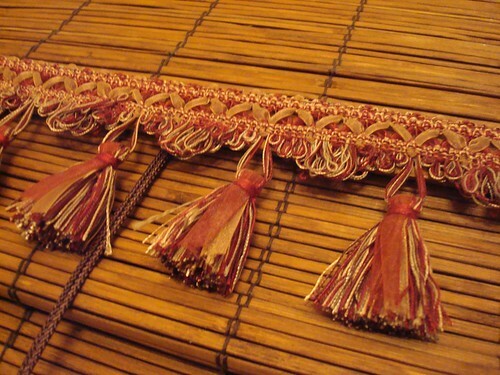 When we filled out the offer our our house my husband noticed these tassels on the eat in area's window treatments. And not noticed in a good way. Noticed in a "oh god what were they thinking" way. I thought they were cute though and since moving in I just haven't mentioned them. After all free window treatments are free. So it looks like the tassels will get to stay for a while longer yet. Hooray for tassels!